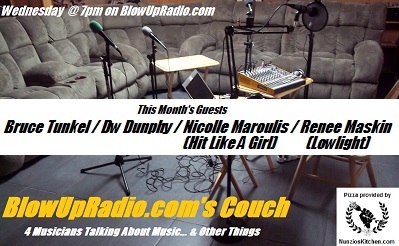 This Wednesday @ 7pm is the latest BlowUpRadio.com's Couch (4 Artists Talking About Their Music), with guests Bruce Tunkel, Dw Dunphy, Nicolle Maroulis (Hit Like A Girl), & Renee Maskin (Lowlight). You are not going to want to miss this one. We just recorded it today and it was a blast! I can't thank Bruce Tunkel, Dw Dunphy, Nicolle Maroulis, & Renee Maskin, enough for making this episode so good! Nunzio's Kitchen (http://www.nunzioskitchen.com) is the official pizza of BlowUpRadio.com's Couch, & supplies pizza to guests on the show. MUSIC VIDEO: The Fisherman & The Sea - "The Funny One"
We have our hands in a lot of benefits right now. Then Thursday when Catherine Wacha called in to 'BlowUpRadio.com's Is It The Weekend Yet? ', she announced plans for this year's 'Rock The Lup' benefits for the Lupus Research Alliance, which includes a 7 hour webathon on BlowUpRadio.com on Saturday June 2nd (full line up to be announced soon), as well as a special 'Rock The Lup' BlowUpRadio.com Guitar Pull happening Saturday June 9th at Espresso Joe's, featuring Catherine doing a Guitar Pull with Jon Caspi and his son, Ezra Caspi. Opening that show ill be a rare acoustic set from Wynward! 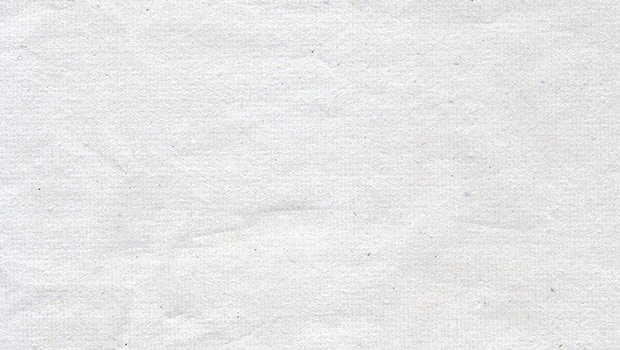 And we'll soon be announcing more benefits... including a certain annual one we do during the month of October. Lost In Society - "Creature" from "Eager Heart"
Above The Moon - "San Junipero" from "Patterns You Create"
Yawn Mower - "Local Summer" from "Could Eat, Would Sleep"
Hit Like A Girl - "The Song I hoped You'd Never Hear" from "You Make Sense"
Bruce Tunkel - "New Day" from "New Day [single]"
Anthony Friedlander - "Night" from "Night [single]"
Petal Aggression - "Painful Life Lessons" from "Phonic Outtakes!1!1!" Laree Cisco - "Pool Of Blood" from "Pool Of Blood [single]"
Pep Rally - "Bad Advice" from "Bad Advice [single]"
Dub Proof feat. Addis Pablo - "Rockers Dimension" from "Rockers Dimension"
Forever Losing Sleep - "Broken Dance" from "Ritualistic"
Old Smile - "What They Left" from "What They Left/Driving At Dawn"
Michael Sailer - "I Guess My Apple's Falling Here" from "Facing In or Phasing Out"
Kelly Caruso - "Born Dainty" from "Gar Francis Songbook Volume One"
Alex Reade - "Better Off" from "Better Off Now - EP"
Tonota 80 - "She Let Go" from "She Let Go [single]"
Crab Bubbles Band - "Fool For Your Love" from "Gar Francis Songbook Volume One"
Tom Misch - "It Runs Through Me (feat. De La Soul)" from "Geography"
Rechorduroys - "Frampton" from "Rechorduroys"
Dr. Dog - "go Out Fighting" from "Critical Equation"
Doug DeLuca - "Good Feeling" from "Hit Your Mark"
Hannah Gill - "Lose" from "Lost In Woods"
The Bordellos - "Las Vegas Basement" from "Spinning Like Julian Cope EP"
Voice Of Addiction - "Rustbelt" from "The Lost Art Of Empathy"
John Zay - "Ayahuasca Dance (She Likes To Dance)" from "Shadows"
American Pinup - "Get Better" from "Get Better EP"
Good Latimer - "Waiting" from "Go Where It Snows"
Yarn - "Road Less Traveled" from "Lucky 13"